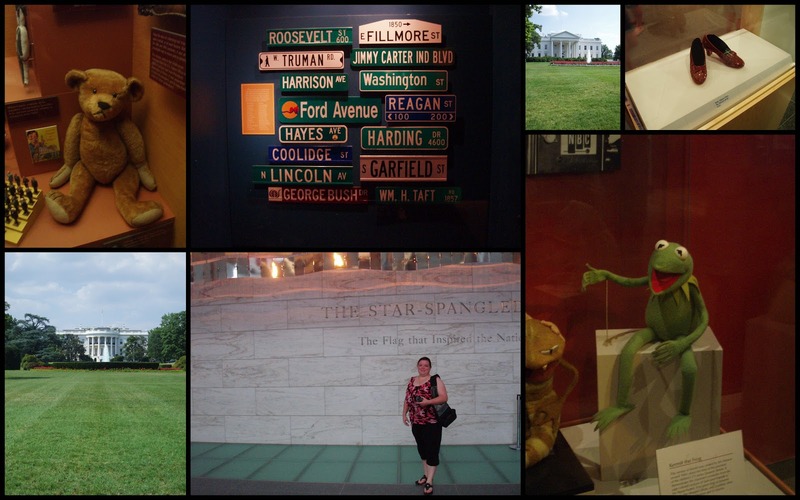 In which our heroes visit The White House, The National Museum of American History, and Ford’s Theater. We took the Metro to the Smithsonian stop and walked to the American History Museum. The Star Spangled Banner is in a new display (with no photos allowed? aw, man!) and they have Julia Childs’ kitchen. From there we took the Metro to Ford’s Theater. We didn’t tour, but there are tours every half hour. They seemed a little pricey, but your National Park Service America the Beautiful Pass may get you in. Then we walked to the White House. There is some renovation going on (of course) at the Ellipse. We took photos on the north side and the south side, then walked to the Metro and came back to the hotel. Our subway was PACKED. More Dalai Lama classes and more baseball made for a hot and crowded subway car. balujan27: Thanks for share good post. I like this blog.